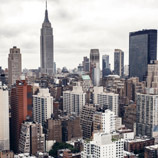 Easements are very common for many types of properties. In and of themselves, they are not something to fear when buying a new property. 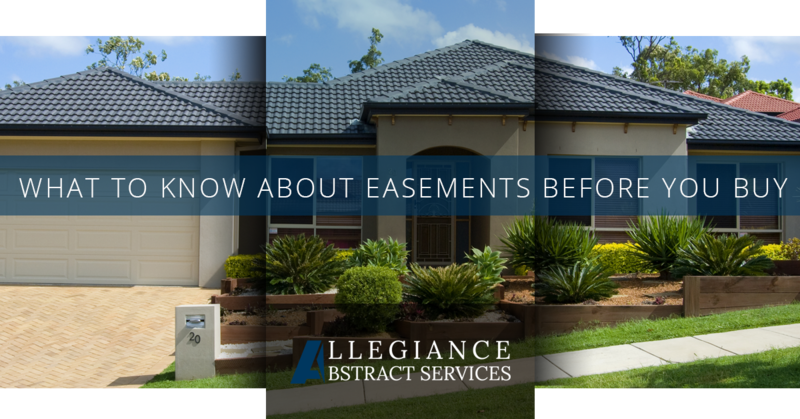 It is, however, important to understand what easements your property is subject to, what the terms are, and how it may impact your ability to resell. In the property you are considering purchasing, you may find details about it in a conveyance, will, or some kind of contract. Be sure to do a thorough search when dealing with old homes, homes that have been in one family for a generations, and homes that have changed hands frequently. Information about easements can get lost along the way. Verbal agreements may exist that aren’t necessarily legally binding, but they sure can create big headaches. Just be sure you know all of the facts. Give us a call if you have any concerns. We’ll make sure the due diligence is done. 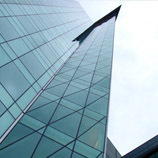 Easements are granted to other property owners, government entities, utilities, and others. They generally allow the holder to take whatever action is considered reasonable based on the details of the easement. The legal definition of what is reasonable is often a bit opaque. If you have questions, speak with the easement holder and consult an attorney. Right of Way: Basically, a “make way” right, it is used for transportation rights including everything from a footpath or bike trail to a highway. Affirmative: The right to use a portion of someone else’s property for a specific purpose, like grazing cattle. Dominant and servient estate: When the owner of one (dominant) property is granted rights directly by the owner of a second (servient) property, like when one property owner allows another to run a driveway through their property. Public and private: A public easement grants public-use rights to private property. A private easement grants rights to an individual. Appurtenant and in gross: Typically an appurtenant easement passes along with ownership of a property into perpetuity or until some intervening event occurs. An in gross easement is not inheritable, nor can it be assigned to a third party. Floating: A floating easement may take many forms and is typically written in general terms related to an area of land. Wayleave: These are very common, and they allow a utility or other service providers to access property in order to install or service items on the property, such as pipes or cabling. Access: This is simply a grant of access through one parcel of land to another. You need to know your rights. For example, if a utility company has an easement because your property has gas or water pipes running under it, and they show up one day with huge equipment and want to dig up your beautifully landscaped yard to fix a broken pipe, what are your rights? Wouldn’t you like to know before you buy? Some easements may require you to maintain a right of way. You may be required to keep an area free of overgrown bushes, remove any debris, and shovel snow. From that perspective, you don’t really own that piece of your land. Someone else has the right to tell you what to do with it. There are a lot of factors to consider when buying property, from easements to title searches and tax liens. Give Allegiance Abstract Services Inc. a call. We’ve been doing this a long time. We’re really good at it. We’ve got you covered.